Wednesday, November 6, 12:00 p.m.–7:00 p.m.
Exhibit Hall C, Wardman Park Marriott, Washington D.C.
Amplidata provides a “true” fully abstracted Software Defined Storage platform for Big Data. It enables customers to deploy turnkey large-storage infrastructures that meet the highest reliability and availability requirements at the lowest possible cost. AnsibleWorks is the company behind Ansible, the radically simple IT automation solution. Ansible reduces complexity in managing application deployments, OS configurations, and all kinds of IT orchestration tasks. AnsibleWorks provides an Enterprise-ready management platform to IT organizations around Ansible, including our AWX management product and also offers support and consulting services. 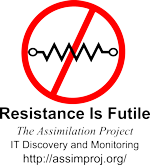 The Assimilation Project provides integrated IT discovery and monitoring aimed at risk management and mitigation. Discovery finds systems, services, dependencies, including services you aren’t monitoring and systems you’ve forgotten about. About 30% of all outside security breaches come through forgotten systems. Discovery is continuous and has zero-network-footprint. Monitoring is extremely scalable due to a radically distributed architecture. Discovery informs monitoring - simplifying configuration and maintenance. The Assimilation Project software provides extremely scalable easy-to-configure monitoring, and creates a continually up to date, detailed configuration management database based on the Neo4j graph database. Centrify provides unified identity services across data center, cloud and mobile — resulting in one single login for users and one unified identity infrastructure for IT. Centrify’s software and cloud services let organizations securely leverage their existing identity infrastructure to centrally manage authentication, access control, privilege management, policy enforcement and compliance across on-premise and cloud resources. The Center for Internet Security (CIS) is a nonprofit organization that develops the only consensus-based, best practice secure configuration benchmarks and security automation content, which are used by government, businesses and academia worldwide, and accepted for compliance with standards such as FISMA, PCI, HIPAA and more. Code 42 Software has been protecting the world's information since 2001. Its enterprise backup solution, CrashPlan PROe, provides people-friendly, enterprise and university-tough backup. Engineered with laptops in mind, it's continuous backup that won't slow you down, and its self-service restores free up IT. Visit www.crashplanproe.com to learn more! Computer covers all aspects of computer science. For more than 40 years, developers, researchers, and managers have relied on Computer for timely, peer-reviewed information about research, trends, best practices, and changes in the profession. Computer covers all aspects of computer science. For more than 40 years, developers, researchers, and managers have relied on Computer for timely, peer-reviewed information about research, trends, best practices, and changes in the profession. Copublished with the American Institute of Physics, CiSE features the latest computational science and engineering research in an accessible format along with departments covering news and analysis, CSE in education, and emerging technologies. DMTF standards enable effective management of IT environments. The organization is comprised of industry-leading member companies that collaborate on the development, validation and promotion of infrastructure management standards. DMTF management standards are critical to enabling interoperability among multi-vendor systems, tools and solutions within the enterprise. For more information, visit http://www.dmtf.org. Corporations must make technology choices that support their business process requirements even as leaner budgets dictate the leveraging of existing systems and resources. Our solutions keep critical data accessible and secure while minimally impacting your budget and staff. Introducing AuthHaven, our flagship product! AuthHaven is a Single Sign-On (SSO) authentication and access system for diverse enterprise environments. Centrally manage your infrastructure via web interface while corporate assets redirect authentication requests to AuthHaven. Employees securely traverse internal and external networks with a single identity while the company maintains full compliance and audit control. IEEE Pervasive Computing explores the many facets of pervasive and ubiquitous computing with research articles, case studies, product reviews, conference reports, departments covering wearable and mobile technologies, and more. IT Professional offers solid, peer-reviewed information about today's strategic technology issues. To meet the challenges of running reliable, flexible enterprises, IT managers and technical leads rely on IT Pro for state-of-the-art solutions. IT/Dev Connections 2013 provides in-depth training on the technology platforms you’re currently using as well as the latest trends. The comprehensive Microsoft conference offers training from industry experts on HTML5, ASP.NET, Exchange, SQL Server, Windows OS, Windows Server, SharePoint, Visual Studio, Office 365, business intelligence and cloud technologies. Recently named by Inc. magazine as one of the top 500 fastest growing private companies in America, Linode delivers virtualized cloud services from six regions across the U.S., Europe, and Asia to some of the most innovative companies in the world, such as The Onion and Creative Commons. The company’s proven IaaS (Infrastructure as a Service) offering enables customers to deploy and manage Linux virtual servers in the Linode Cloud with the ability to scale deployments to meet business demands - paying only for what they use with no long-term commitments. 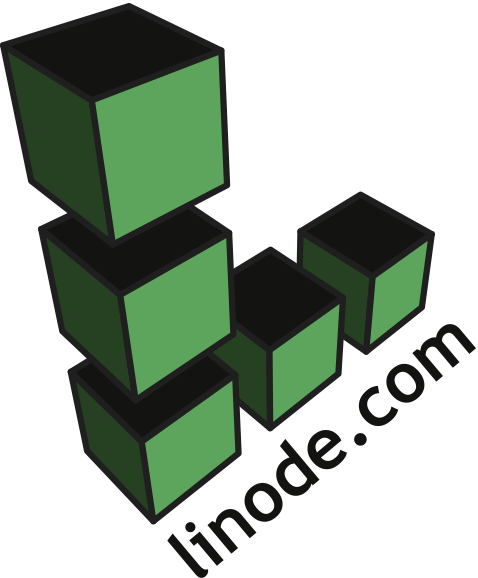 For more information, visit http://www.linode.com/. The Linux Foundation is here to help. By supporting the kernel development community -- including employing Linus Torvalds himself -- and fostering collaboration on a truly massive scale, the Linux Foundation unites thousands of curious minds in the free and open exchange of ideas. With this collective wisdom, people everywhere are using Linux to solve harder problems, innovate faster than ever, and change the way the world works together. We are here to provide the crucial services and collaborative infrastructure to continue Linux’ advancement and protection. Visit linuxfoundation.org for more information. LogicMonitor is a cloud-based performance monitoring solution that enables companies to easily and cost-effectively monitor their entire IT infrastructure stack — storage, servers, networks, applications, virtualization, and websites. LogicMonitor unifies physical, virtual, and cloud infrastructure to ensure system-wide availability and performance. MongoDB (from humongous) is reinventing data management and powering big data as the leading NoSQL database. Designed for how we build and run applications today, it empowers organizations to be more agile and scalable. It also develops MongoDB Management Service (MMS), a suite of tools to operate MongoDB at scale. Nebula helps companies build out a private IaaS cloud that runs on certified industry-standard x86 servers (Nebula Cloud Nodes) The heart of the solution is the Nebula Cloud Controller, an appliance-based deployment that can manage up to 20 nodes. The cloud controller (2U appliance) plugs into your servers and you have an on-premise, secure private cloud up and running in less than a day. NetScout Systems provides Unified Service Delivery Management enabling comprehensive end-to-end network and application assurance by predicting, preempting and accelerating resolution of service delivery problems. Imation is a global data storage and information security company. Imation’s Nexsan portfolio features solid-state optimized unified hybrid storage systems, secure automated archive solutions and high-density enterprise storage arrays. Nutanix is the recognized leader in the fast-growing Virtual Computing Platform market. The Nutanix solution converges compute and storage resources into a single appliance, delivering a powerful, modular building block for virtual datacenters. It incorporates the same advanced, distributed software that powers leading public cloud providers, such as Google, Facebook and Amazon - but is tailored for mainstream enterprises and government agencies. The Nutanix solution enables easy deployment of any virtual workload, including large-scale virtual desktop initiatives (VDI), development/test apps, private clouds, big data (Hadoop) projects and more. Nutanix customers can radically simplify and seamlessly scale out their datacenter infrastructures with cost-efficient appliances that can be deployed in under 30 minutes for rapid time to value. OpenStack is open source software for building public and private clouds. OpenStack powers some of the most widely-used SaaS and eCommerce sites, the world’s largest public clouds and Global 1000 enterprises alike, each of which rely on OpenStack to run their businesses. The OpenStack cloud platform controls pools of IT resources at massive scale. OpenStack is backed by an independent Foundation and global community with 10,000+ members. Join the movement by visiting www.OpenStack.org. Puppet Labs' IT automation software enables sysadmins at companies of any size to deliver the operational agility and efficiency of cloud computing at enterprise-class service levels. Using our software, sysadmins can easily automate repetitive tasks, quickly deploy applications, and proactively manage change, scaling from 10s of servers to 1000s, on-premise or in the cloud. SaltStack takes a new approach to infrastructure automation and application configuration management by providing the enterprise IT and DevOps teams with software easy enough to get running in minutes, scalable enough to manage tens of thousands of servers, and fast enough to control it all in milliseconds. SaltStack software is data center automation for cloud orchestration, system and configuration management and much more. SaltStack is used by substantial cloud and Web-scale organizations and is one of the biggest, most-active open source projects in the world..
Flume™ is patented advanced file transfer and synchronization tool that guarantees delivery and significantly accelerates data transfers and synchronizations over global networks. Flume works by virtually eliminating the challenges of latency and mitigating the effects of line degradation/congestion that limit traditional IP transfer technologies. Flume is currently packaged as an "rsync" like utility for industrial data movement. SCALE 12X: The Southern California Linux Expo announces SCALE 12X, to be held Feb. 21-23, 2014, at the Hilton Los Angeles Airport hotel. SCALE 12X features over 90 speakers and around 100 booths on the exhibit floor, all relevant to Free/Open Source Software. For details, visit http://www.socallinuxexpo.org. Server Fault is a Q&A site for system administrators and IT professionals. No matter what types of servers, operating systems, or network equipment you use our goal is to get better at our profession – together. We believe finding the right answer to IT questions should be fun and free. Skybot Scheduler is a powerful, affordable, and flexible enterprise job scheduler for Windows, UNIX, and Linux. Build a cross platform, event-driven schedule quickly and easily, Skybot handles the complex dependencies and notifications for you. Interfaces include: Oracle E-Business Suite®, SAP NetWeaver®, Informatica PowerCenter®, MS SQL Server®, Cron, and Robot/SCHEDULE. We are in the process of redesigning our site check out beta.slashdot.org and email redesignfeedback@slashdotmedia.com with feedback! SolidFire is the market leader in high-performance data storage systems designed for large-scale public and private cloud infrastructure. Leveraging an all-flash scale-out architecture with patented volume-level quality of service (QoS) control, providers can now guarantee storage performance to thousands of applications within a shared infrastructure. Strategic Hardware works with clients across the country helping them design and deploy integrated, robust data storage solutions. Partnering with Hitachi Data Systems, we offer unbeatable experience and technologies to help solve your Big Data requirements and Large Deployments. Talk with our team today and see how ours can help yours go forward! Tegile Systems is pioneering a new generation of affordable feature-rich storage arrays that are dramatically faster, and can store more data than standard arrays. Incorporating Tegile’s unique metadata handling technology, MASS™, Zebi arrays deliver caching and on the fly de-duplication and compression for primary storage. The world’s first job simulator for Linux professionals, TrueAbility’s AbilityScreen® validates the skills of job seekers, simplifies the hiring process with stacked rankings and candidate proficiency details, and enables tech pros to prove themselves in a real environment–from anywhere. Xyratex's high performance and easy to manage ClusterStor™ scale out storage solution for HPC and Big Data, aggressively collapses and consolidates the Lustre® file system into modular building blocks enabling unprecedented linear performance scalability, specifically suited for data intensive applications in research, energy, defense, and life sciences markets. Zenoss Inc., headquartered in Austin, Texas, offers an award-winning, complete network monitoring and systems management platform that discovers networked IT resources, monitors them for performance and availability, and tracks changes through a configuration management database (CMDB). Zenoss offers enterprise-grade support, services, and commercial add-ons through its Enterprise Subscription. Make IT easy.